The perfect tools for fondant, pie dough, gum paste, cookie dough and all your pastry needs. There is no question using fondant to decorate your cake can enhance the look and allow you to add fine details to cookies, cakes, cupcakes and more. However, if you are new to working with fondant or gumpaste, you know how difficult it can be. The good news is if you have the right tools and equipment, this process can be simplified significantly. 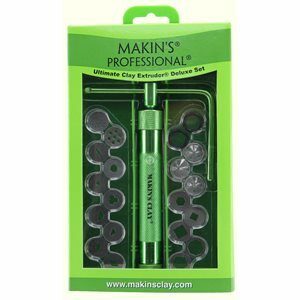 When you shop with us, you will quickly discover we offer a wide array of fondant tools, such as fondant crimpers, silicone molds, fondant cutters, impression rollers and mats and working mats. We also provide a huge selection of gum paste tools and veiners, insertion tools, imprinters, rolling pins, embossers, fondant smoothers and even flower cutters. In addition to offering a huge selection of gum paste and fondant tools, you will also find we offer affordable prices. This means you can get the tools and equipment you need, without spending too much on the products. If you are looking for quality and affordability, you are in the right place. We understand if you are new to working with fondant and other baking supplies, it can be quite challenging to get it right. However, with our tools, you will be well on the way to great looking cookies and cupcakes you are proud to show off. Browse our selection of tools to see what you need.